A bowl can find a place in every home, be it for serving food or nibbles within, acting as a dish for storing keys or jewellery in for even just as an ornament. This Orvieto bowl would match all of the above in the most stylish and elegant way possible. Orvieto is a city in Italy renowned for its use of pottery, which is clearly seen through the quaint nature of this bowl. With swooping curves and glistening edges, this bowl is shaped into a deepened heart made from fine enamel and backed with shining silver. Interior wise a grey pastel shade acts as a neutral element ensuring the bowl fits in wherever it is place, combined with the reflective aluminium it will create a subtle addition to any home. 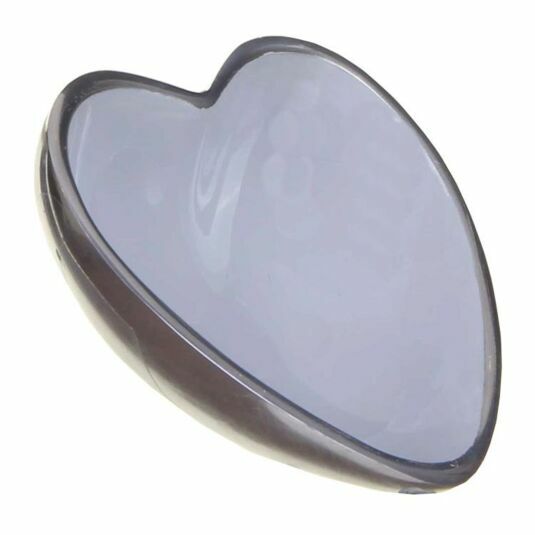 Whether you use it for the dinner party nibbles or to store precious jewellery within, this Orvieto Enamelled Aluminium Heart Shaped Bowl will make a touching gift for someone to place throughout their home, and ideal as a housewarming present to instil love into a new home.